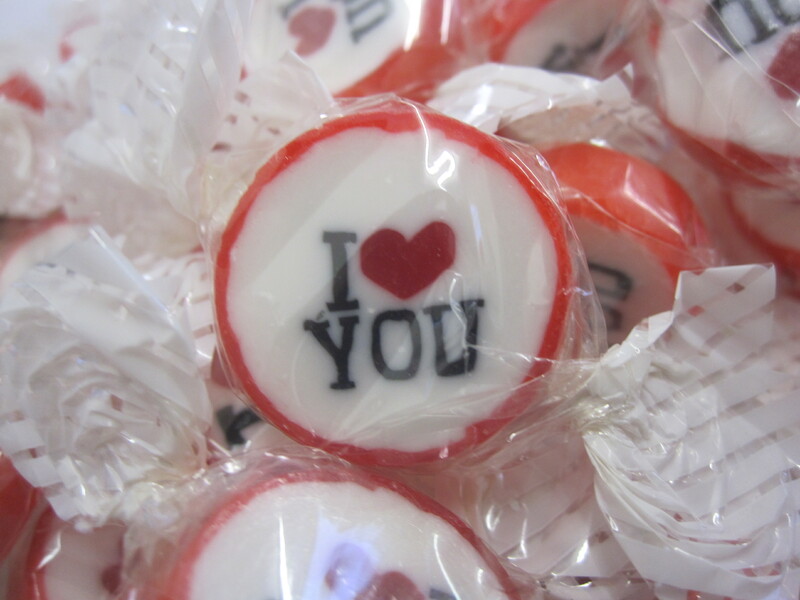 100 sweeties handmade in our own factory. 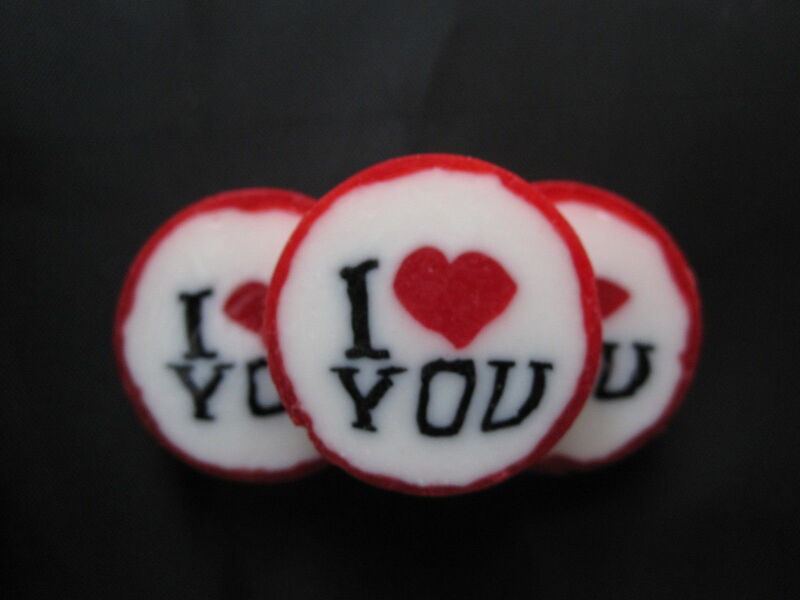 The sweets are designed with a red heart with "I" next to the heart and "YOU" underneath. All the sweets are flavoured with our best quality Strawberry & Cream flavour.